British Automaker MG Motor (Morris Garages) today showcased connected car technology in India with the launch of the iSMART Next Gen for connected mobility developed with tech tech partners such as Microsoft, Adobe, Unlimit, SAP, Cisco, Gaana, TomTom and Nuance, developed in partnership with global technology players. MG Hector is scheduled to debut in India in the month of June this year. This seamless connectivity enables the users to receive real-time software, entertainment content and application updates. Customers will be able to download the software updates immediately or schedule them for later, as in smartphones. 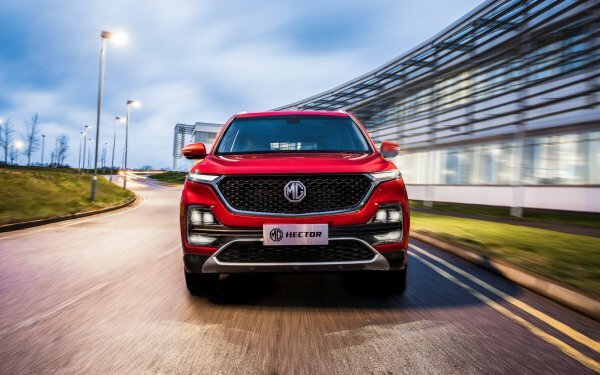 This makes MG the first few among the global leaders and the first in India to bring the revolutionary Over The Air (OTA) technology to cars. iSMART comes with TomTom’s real-time navigation application. This navigation system would regularly update maps, routes and locations through their IQ Maps feature. For safety, iSMART ensures that customers remain protected against advanced threats while enjoying the benefits of technology. MG car owners can locate their cars remotely and geo fence it, so the car cannot be taken out of a predefined zone, thus enhancing the safety of the passengers. The App uses driver analytics data to help people drive smarter. The iSMART is hosted on Microsoft Azure Cloud providing impregnable cyber security for all data. Adobe and Cognizant have partnered with MG to develop the first ever Adobe Experience Cloud to make the customer journey a delight for MG customers. Likewise, SAP with iTelligence has built one of its kind Dealer Management System – ‘Magnet’, and connected apps. This system would host all information from company, dealers, service centres and customers at one place. This would make sure the customer can seamlessly be recognised and offered services at pre-sales, sales and post sales phases.